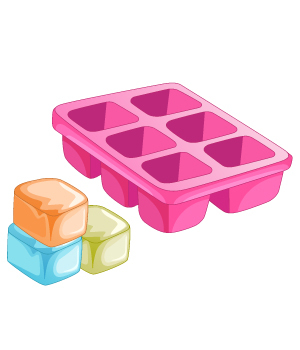 ‘Make Colorful Ice’ is an interesting preschool activity that teaches kids about different colors and how they mix with another to form a new color. This color activity involves extensive use of food colors which might turn cumbersome – wear aprons while doing this free classroom activity for preschool kids. Fill the paper cups till half with water. Mix a different food color in each cup. Allow kids to take different colors with the droppers, from the cups, and drop them on the pockets in the ice tray. Encourage them to mix the colors. They’ll be delighted to see primary colors in the preschool color activity mixing with each other to form secondary colors!